Crusader : THE TERRIFYING HIKE!! “A hike, really?” I said. When I heard that we were going on a walk, I was horrified. As I was looking at the hills that we were going do it on, I just froze up. When we started the tramp, my legs were getting tired in a second. I was so happy when I saw a flat ground ahead of us. At this stage, I had a rest and a drink of my water bottle (just as well I brought a big one). When we finally stopped for a rest, I had a little sleep. After that I had a big munch of my lunch because I was so hungry. 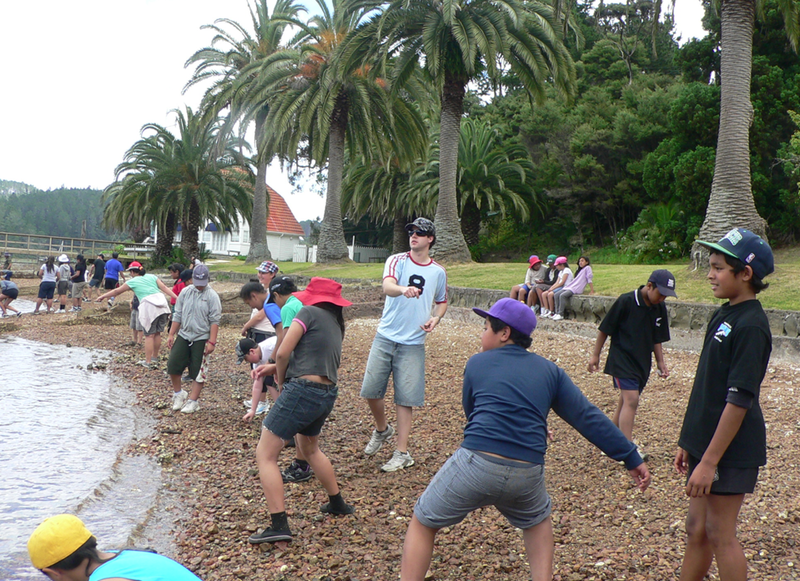 We then got to play near the beach and everyone started skimming rocks on water, it was so cool. My high score was three skims on water. When I heard we were walking again back to the camp, I quickly found a tap and filled up my bottle. The last walk was shorter than the first. I was thinking that we were going a shorter way. “Why couldn’t we do this way in the beginning” I said. As we were walking, I started to go ahead of a lot of people. I was at the back of people when we were going uphill, but I started passing lots of people and I thought that they were tired from the uphill part. When I was finished I quickly found my bag, went to my cabin, set up all our beds then just had a huge rest. You are right man, I was so tired I dropped to the ground!!! The hike was really hard because the path was all uphill!! But at least when we made it, a jump of the wharf was the great ending to the day. Keep up the good work! !